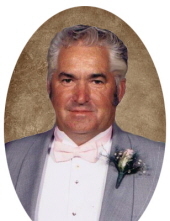 Johnie Milford Gillum, born November 15, 1942, in Elliott County, passed peacefully at his home in Hillsboro, KY on January 24, 2019, after an extended illness. He was the son of the late Albert and May Lewis Gillum. In addition to his parents, he was preceded in death by sisters and brothers-in-law, Wilma Jean Ison (Phillip) and Elma Fay Fraley (Danny); infant brother, Alfred Wayne Gillum; brother-in-law, Eddie Fraley; and son-in-law, Jeff Gulley. He is survived by his wife of 58 years, Myrtle Eldridge Gillum. In addition to his wife, he is survived by one son, Bruce Gillum (Tina) of Hillsboro, KY; daughters, Debbie Stephens (Curtis) of Sandy Hook; Anita Gulley of Flemingsburg; Kathy Workman (Robert) of Ewing; brothers, Virgil Franklin Gillum (Donna) of Sandy Hook and Ronnie Gillum (Kim) of Flemingsburg; and sisters, Ann Fraley of Sandy Hook, Maude Rossi (Ron) of San Antonio, Texas, and Sandra Saunders of Arcadia, Florida; grandchildren, Allison Phelps, Brian Stephens, Maggie Prater, Shelley Gulley, John J. Gulley, Emily Gillum, Melanie Gillum, Carson Gillum, and Brennan Gillum; and great-grandchildren, Arabella and Axton Prater, and Preston and Lev Phelps. Papaw Johnie loved farming and his family. He delighted in watching his grandchildren grow and play and spent as much time spoiling them as he could. He will be sadly missed. The family appreciates all the love that has been so selflessly shown us as we struggled to acknowledge Dad’s declining health. We are deeply indebted to Martha Jones, Darlene and Kelly Muse, and Carson and Brennan Gillum for the invaluable care and tireless support that they provided during the past several months. Also, many thanks to St. Claire Hospice for helping us keep Dad comfortable, and at home, where he wanted to be. Funeral services will be conducted 2 p.m. Sunday, January 27, 2019, at Hutton Funeral Home with Pastor Jim Hamm and Brother Gerald Saunders officiating. Burial will follow in Hillsboro Cemetery. Pallbearers: Carson Gillum, Brennan Gillum, Brian Stephens, John J. Gulley, Josh Phelps, and Curtis Stephens. Visitation will be from 6 p.m. to 9 p.m. Saturday, January 26, 2019, at Hutton Funeral Home, 7364 Hillsboro Road, Hillsboro, KY 41049. Memorial contributions are suggested to St. Claire Hospice, 222 Medical Circle, Morehead, KY 40351. To send flowers or a remembrance gift to the family of Johnie Milford Gillum, please visit our Tribute Store. "Email Address" would like to share the life celebration of Johnie Milford Gillum. Click on the "link" to go to share a favorite memory or leave a condolence message for the family.